SOPHIE, PC Music's biggest artist, quietly came on stage, cracked a QT, and began a squall of noise before kicking off with a trappy, manic track that segued into a night of danceable material that evoked PC's sound but wasn't discernibly by any of its artists. 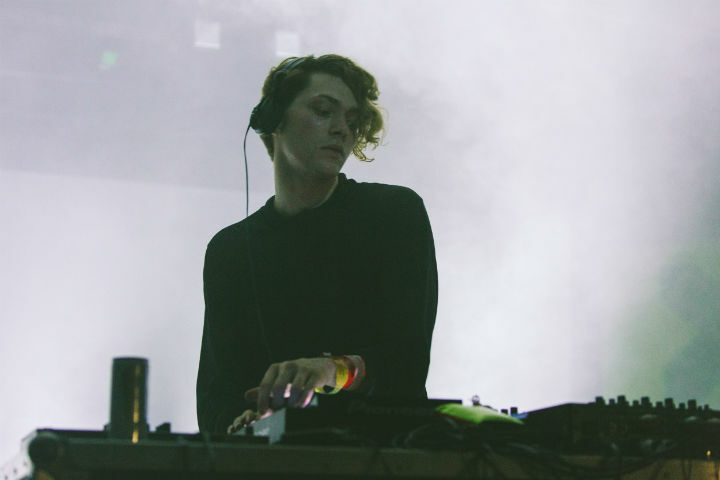 It was a more traditional DJ set than any of the preceding artists, as SOPHIE is a more traditional DJ — he's the only PC Music affiliate to have released music on a physical format so far. His set was all technicolour maximalism, a la A. G. Cook or Rustie, but he mostly stuck to the songs of others in his set, forgoing his own material but using his trademark "splash" sounds to reflect his aesthetic. Of course, nothing got the crowd more excited than when he finally segued into "Hard," and by the time he played it, close to 2 a.m., audience members were crowd surfing. Sadly, SOPHIE left not ten minutes later, making the crowd beg for an encore. He hadn't played either "Lemonade" or "Bipp," his two biggest singles, but he'd left his mark nonetheless.